In 1890, at a time when Queen Victoria was the reigning monarch, construction of the James Spicer Memorial Church Hall School, in Buxton Road, North Chingford, North East London was completed. Very many years thereafter, the Church of England edifice became surplus to the Church’s requirements and sadly deteriorated to a run-down condition. 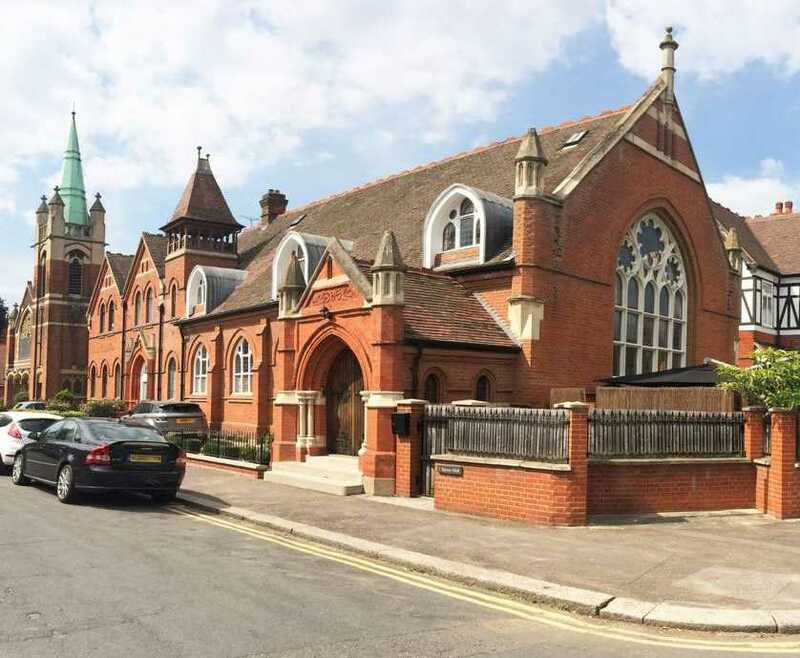 Gianna Camilotti is an Italian / Brazilian interior designer who had been searching for a suitable property in London and by good fortune came upon the former church hall in 2013 and instantly became enchanted by it. Gianna at the 2014 awards ceremony of the Society of British and International Design (SBID) Awards where she was a finalist in the “Living Space Europe” category with her entry project “Church Conversion”. She embarked on a restoration and refurbishment program with the intention of preserving the historical ambience and integrity of the building and introducing an appropriate modern facet. Gianna’s open-plan architectural design includes a large living space, sumptuous dining area, a modern kitchen and two bedrooms with ensuites on the first floor. The 237 sq.m. Grade II listed historic building retained many of its Victorian features including an oak beamed, nine meter high ceiling, original vaulted doors and arched nineteenth century stained glass windows. Rejigit applauds Gianna Camilotti and her demonstration of exemplary refurbishment which bought about a blending of old and contemporary.